If you are looking for something a bit less expensive than a cottage or hotel, then why not give a bunk barn a try, just remember to bring a sleeping bag! Luxury Glamping and Adventure - With views of the Western Fells, the accommodation looks across the Eskdale valley. The Byres were once an old agricultural barn and cow byres built in the 1960’s, the building have been tastefully transformed providing three eco-friendly, cosy and warm studios. Although two of the studios comprise of bunk beds, they are far from the basic bunk house accommodation we originally had planned. 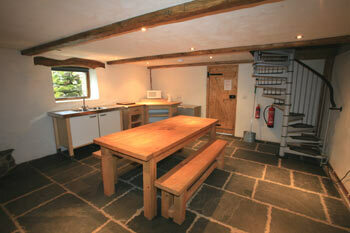 The studios are perfect for families, couples and small groups as a base for a short break or longer! The three unique lodges Kepple, Harter & Birker are named after Kepple Crag, Harter Fell & Birker Water Falls, all of which you get superb views of from the accommodation. 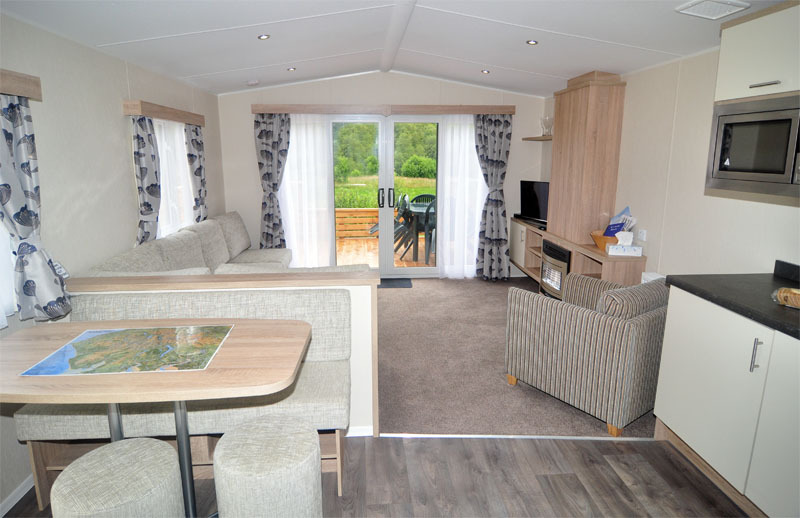 They have been renovated to a high standard, Kepple has a double bed and a single bed with a small single available for an extra child, so it can sleep up to four people. Harter and Birker can sleep up to six in beautiful built in bunks, with two doubles on the bottom and two singles over the top. Quiet caravan site near Irton. 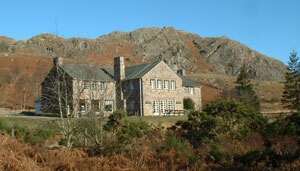 Situated on a farm with Spectacular views up to Eskdale, Wasdale and beyond to the Coniston fells. 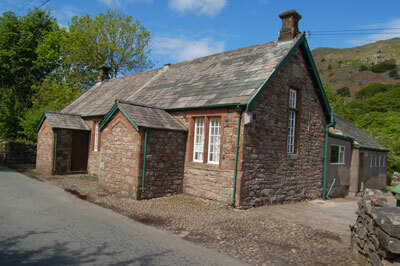 Close to the famous La'al Ratty, Muncaster Castle and the West Cumbrian coast with its links golf course and beaches. Interesting walks for all ages and capabilities, surrounded by peace, quiet and tranquility. Now with new toilet facilities. Camping barn for upto 8 people, finished to a high standard, situated on a small quiet campsite in the beautiful vale of the River Esk. 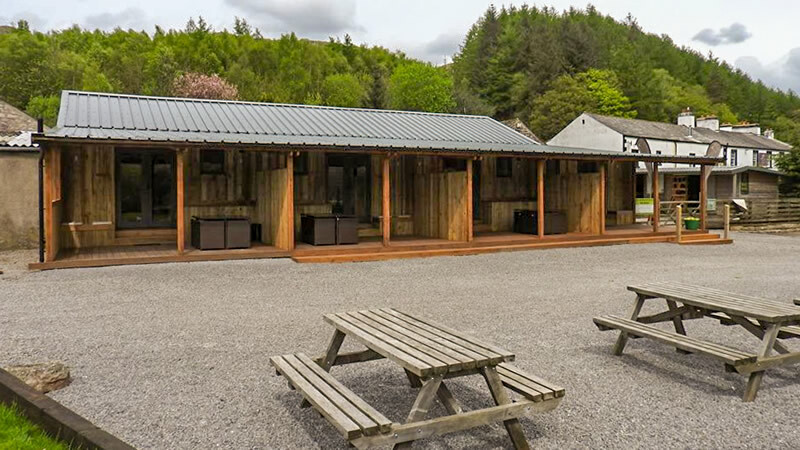 Excellent facilities including heated shower rooms, free hot water and showers, 16 camping pods (camping without a tent) which sleep upto 4 and a childrens play area. Located 200m on the left after Brook House Inn, going towards Hardnott Pass.